"Montessori is not just an educational methodology.. it is a way of life.. a journey that unfolds human potential." As the director of an authentic Montessori school, I am frequently asked, "Why is there so much variation from one school to another? How can I know if I've found a ‘real’ Montessori school?" The word "Montessori" is in the public domain. This means that anyone can use the term, without legal restrictions. It also means that a wide range of schools exist that call themselves Montessori. It’s therefore imperative for parents to do research before beginning the search for a Montessori program, so that they can recognize the essential characteristics of the philosophy and practice. Choosing an authentic Montessori program for your child will be the ultimate gift that will truly last a lifetime. When visiting Montessori schools, first notice if the class includes mixed-aged students. 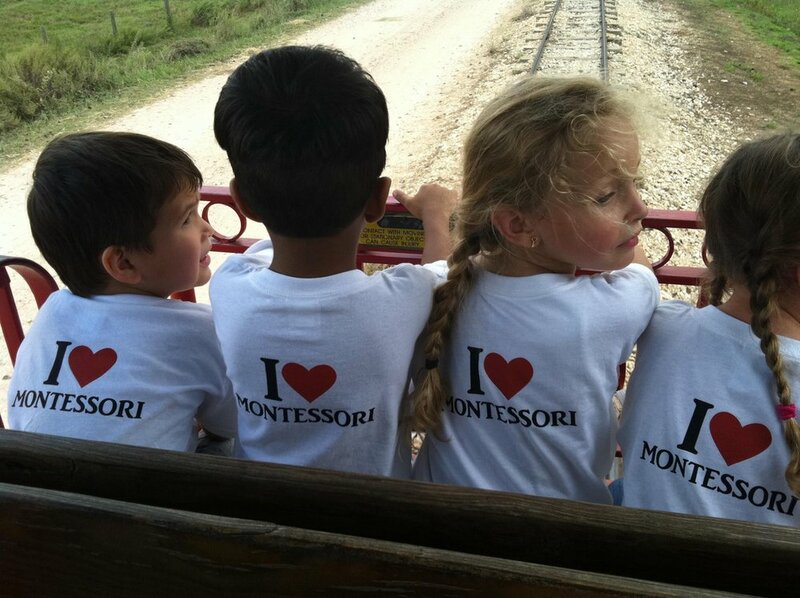 A classroom with a range of ages (usually about three years, for example, ages 2.5 to 6 or 6 to 9) is a fundamental characteristic of Montessori. A group with children of varying ages generates a cooperative mentality in which older children spontaneously share their knowledge with younger children. You will also want to look at the classroom set-up. Montessori classrooms are home-like, equipped with a full array of hands-on Montessori materials, teacher-made materials, and up-to-date learning equipment for each stage of development (see figure 1). The focus of activity in the Montessori setting is on the children's learning, not on the teachers' teaching. The environment is designed to meet the individual needs, interests, abilities, and development of the children. Students rarely learn from workbooks, worksheets or color-in sheets. In almost all cases, direct, personal, hands-on contact with real things, multi-sensory "manipulatives," and concrete models allow children to gain a much deeper understanding of abstract concepts. True Montessori environments encourage children to move about freely, within reasonable limits of appropriate behavior. Current brain research shows us that real learning occurs when the hand is in use, the learner feels happy and safe, and movement is involved. When children are allowed to choose their own activities, they are more interested in and engaged by the classroom environment. In an authentic Montessori classroom, you will perceive an atmosphere of peacefulness and joy. Montessori philosophy emphasizes that the real work of learning belongs to the individual child. The teacher recognizes that her role is not so much to teach as it is to observe and facilitate the learning process (see figure 2). Children learn in many different ways and at their own pace. Trained Montessori teachers understand that they must "follow the child," adjusting their strategies and timetable to fit the needs and interests of each child as a unique individual. Remember, the Montessori teacher creates a learning environment where children feel safe, cherished, loved, and empowered. She works to ensure that each child reaches his full potential as a human being. Finally, ask about a school’s professional affiliations. I recommend looking for a school that belongs either to the American Montessori Society, which requires members to agree to comply with a Code of Ethics and offers opportunities for accreditation as well as different membership levels (dependent on the number of appropriately credentialed teachers in each classroom), or to the Association Montessori Internationale, which also has membership levels. You will also want to know about the teachers’ Montessori credentials: both the level for which they were issued, such as Infant & Toddler or Early Childhood, and the accrediting body. Be especially impressed if the accrediting body is the Montessori Accreditation Council for Teacher Education (MACTE)—it is recognized as an international standard-setter of the highest level of excellence. I believe that each child is born to be a learner, and that the full potential of each child is realized only through an ordered, planned, prepared and nurturing environment. Authentic Montessori programs are places where children’s physical, intellectual, social, and spiritual needs are met. A Montessori education will transform your child into a lifelong learner -- it is truly education for life. Figure 1 - This early childhood classroom is rich with specially-designed Montessori learning materials. Figure 2 -Gently guided by his teacher, this student is using a “dressing frame” to learn how to button.